The main reason to write this blog post is to create more awareness of this event mainly within the electronics community as this expo is one of the well-regarded expos in the automotive sector but many people working in the electronics industry are unaware of it. 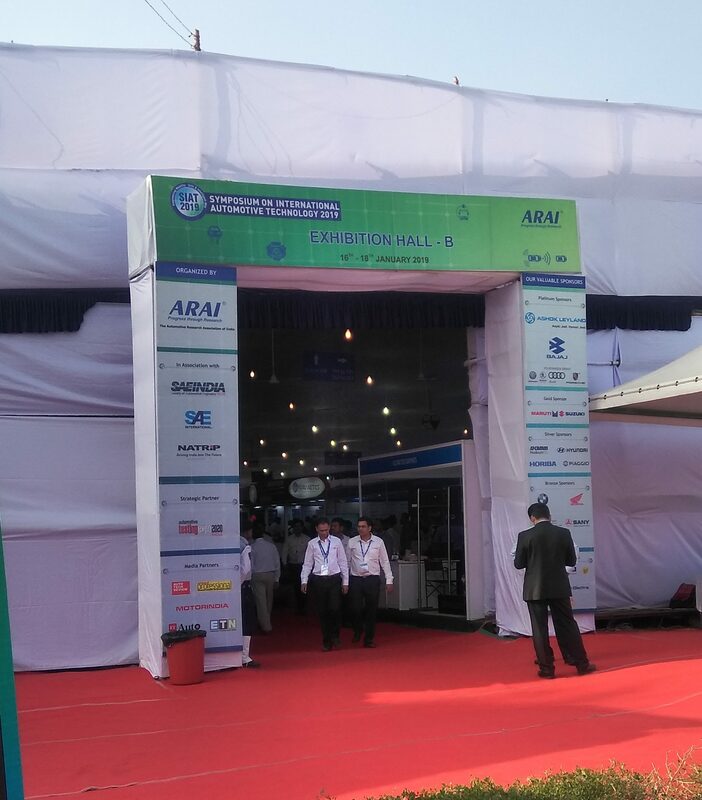 This is one of the best EXPO which I have visited in Pune, the sheer amount of innovation which was to be seen under one roof by top companies in the business was staggering. I also didn’t expect to see much electronics in the expo but I was pleasantly astonished to see the insurgence of electronics in the automotive sector due to rise in demand and investment in Electric Vehicles by the leaders of the automotive industry. Following is a brief discussion of the innovative concepts and cool demos presented by various companies during the expo, I wish, I was able to spend more time in the expo to see all of the stalls more thoroughly and had documented each and every innovative or cool implementation I came across, but just brief stroll through each stall took me a whole day. Following photos and brief descriptions of the stalls is to give you an idea of what to expect and to get you excited to visit the SIAT 2021 as the expo happens ones every two years.